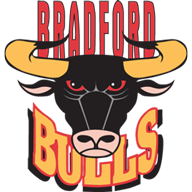 Bradford achieved their second win of the Qualifiers with a 41-10 thrashing of Salford on Sunday. There were tries from Dale Ferguson, Danny Williams, Danny Addy, James Clare, Adrian Purtell and two from Jake Mullaney to give the Championship side an emphatic win at home. Addy also added six conversions for an individual total of 16 points, while Mullaney added a drop goal to his tally on the stroke of half-time. 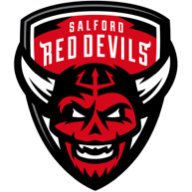 Former Salford player Mullaney scored either side of the break as his new side moved into the top four of the Qualifiers with the win - ahead of Wakefield on points difference. Salford remain in the top four but will rue the loss to a side they would have backed to beat ahead of the Qualifiers. Rangi Chase and Iain Thornley were the only Salford players who managed to score for the Super League club. It was the perfect start for Bradford who saw Ferguson cross for the opening try of the day with five minutes of the game played, with Addy adding another to make it a 12-point lead as the first quarter drew to a close. Addy missed with his first kick of the afternoon when Mullaney scored his first try, but 16-unanswered points had rocked the visitors at Odsal Stadium. Rangi Chase finally got Salford off the mark with four minutes remaining in the half before Mullaney added the drop goal for a 17-4 half-time lead. Mullaney then added his second shortly after the break before Addy, Clare and Purtell added to the woes of the visiting team. Thornley then scored for Salford with 14 minutes remaining, but there was to be no comeback as James Lowes' men held out for a vital and convincing win in the Qualifiers.